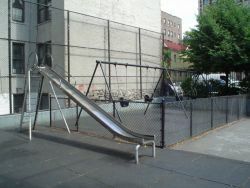 This Washington Heights Playground, which stands across the street from the Audubon School, stretches from 169th to 170th Streets on Audubon Avenue. The playground, school and avenue are all named for John James Audubon (1785-1851), legendary observer of nature and illustrator of birds. Born in Les Cayes, Haiti to Captain Jean Audubon, a French naval officer in command of a plantation, and Jeanne Rabine, Captain Audubon’s French mistress, Audubon moved with his father to France in 1788. As a child, Audubon was so enchanted by birds that he snuck out of the classroom to watch them. At the age of seventeen, he went to Paris to study art and one year later, in 1803, he was sent to the United States to look after his father’s new Pennsylvania estate. There he cultivated his interest in birds: painting them, hunting them and experimenting with bird banding techniques to track migration. In 1808, Audubon married Lucy Bakewell who would be his lifelong support and the mother of his two sons, Victor and John, Jr.
After briefly residing in Louisville, Kentucky, the Audubons returned to Pennsylvania after John Audubon became an American citizen in 1812. Unfortunately, Audubon’s sketches of birds, remarkable as they were, could not keep the family out of bankruptcy in 1819. After moving to Cincinnati, Ohio in 1820, Audubon became a taxidermist, and continued creating his vast collection of bird illustrations. In 1827, he took his paintings to Scotland where they were published over the next decade under the title Birds of America. The accompanying text, Ornithological Biography, was published shortly thereafter. Following the publication of his 435 bird illustrations, Audubon turned to mammals, employing his sons in this endeavor. Although the task was more difficult because of the nocturnal nature of many of the animals, Audubon is nevertheless still famous today for his documentation of all kinds of American wildlife. The beauty, detail, and accuracy of his paintings are unmatched, and his writing preserved the essence of America before heavy settlement altered it forever. Audubon died on January 27, 1851, after one final adventure chasing buffalo out west in the 1840s. The Audubon Society, one of the oldest and largest conservation groups in the world, was founded in his honor in 1905. 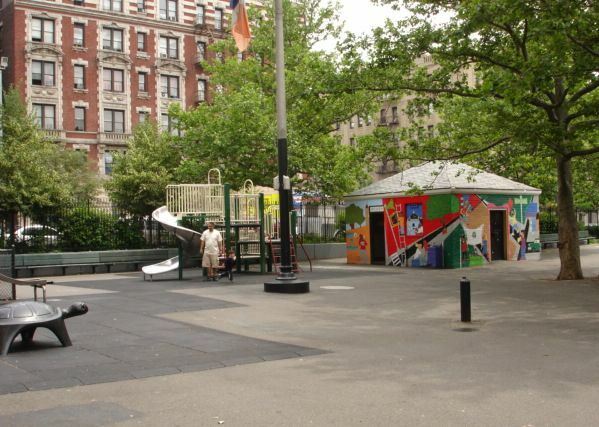 The City acquired the land for Audubon Playground by condemnation in 1958, and the playground, jointly operated by the Board of Education and Parks, opened in 1962. Originally named P.S. 128 Playground after the adjacent school, it was renamed in 1986 to reflect the school’s new name. 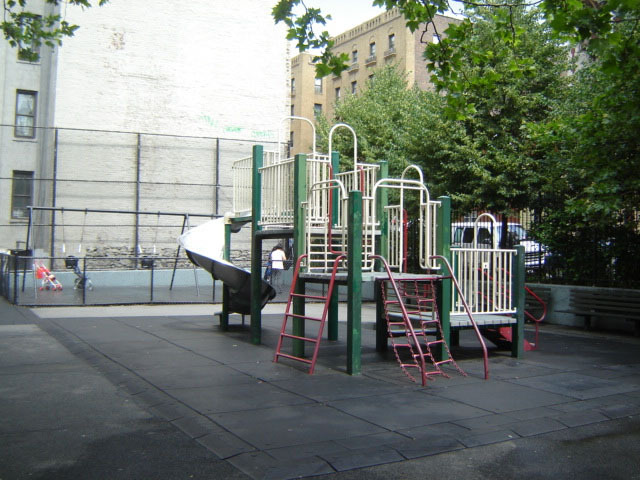 Council Member Stanley E. Michels provided $54,000 in 1995 for renovations, including new play equipment and safety surfacing. A yardarm flagpole stands in the playground near a larger-than-life, black, cast-stone turtle, and London Planetrees surrounding the playground provide welcome shade.